Looking down on icy Abyss Lake at the base of Mount Bierstadt. This was one of the most intense sunsets I've ever witnessed. 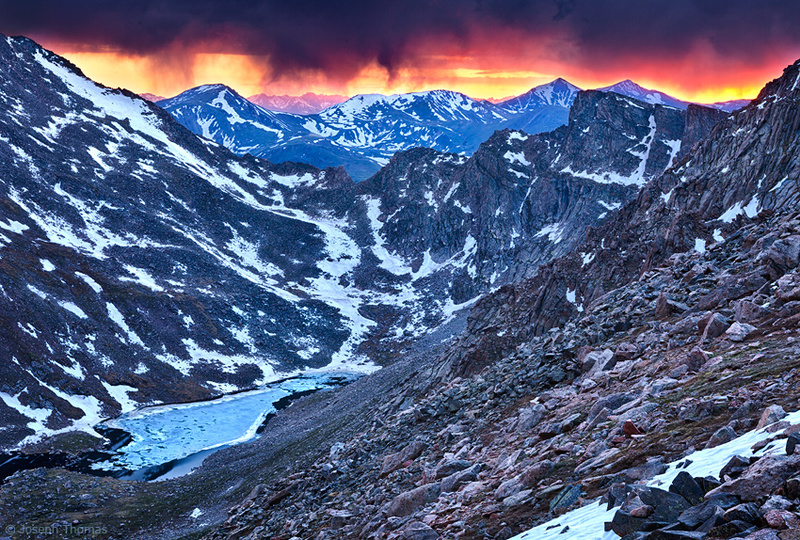 The fact that it occurred over one of the most dramatic views in Colorado made this a truly unforgettable moment. Shortly after capturing this image I was running from a spectacular lightning storm through a blizzard of snow. Yikes!